27 elements - 3 frequency ranges - 850-960 MHz; 1710-1885 MHz; 1920 - 2170 MHz. 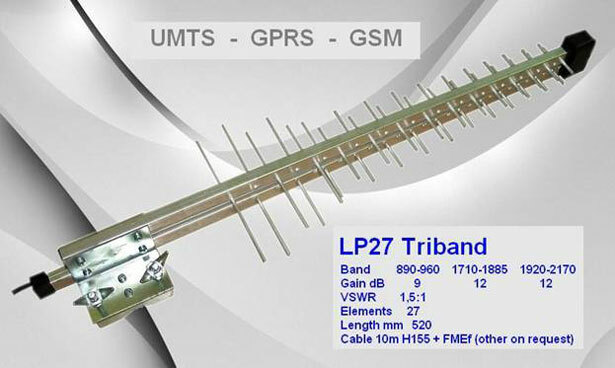 Antenna for use with 3G/GPRS/GSM routers allows to have stable connection and fast data transmission. Antenna works in all 3 bands used, so you will not lose connection even when your router switches from one band to another.